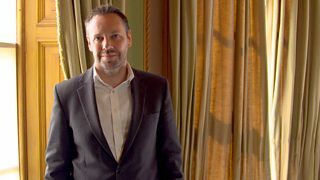 BBC Two - Trust Me, I'm a Doctor, Series 3, Episode 1 - How can I avoid getting dementia? Dementia is a leading cause of death in the UK, and with an aging population, the numbers of those living with dementia is only growing. There are over 800,000 people in the UK with dementia, of which approximately 40,000 are young, meaning under the age of 65. By 2025 is has been estimated that there will be 1 million people living with some form of the condition. Two thirds of people with dementia in the UK are female, and it causes 60,000 deaths per year. However, far from it being completely beyond our control, there are several lifestyle factors that can contribute to our risk or have a protective benefit. The time at which we should begin to introduce or modify these aspects is ultimately important. To tackle the issue, Michael Mosley visited the European Prevention of Alzheimer’s Dementia (EPAD) conference in Edinburgh. He spoke to its chair, Professor Craig Ritchie, to find out the truth, and find out the truth. Professor Ritchie is Professor of the Psychiatry of Ageing at the University of Edinburgh and leads on major prevention research initiatives both in the UK and Europe. So what can we do to reduce our risk of dementia? What should we do more of, and is there anything we should really avoid? So, what is his advice? There is a clear link between type 2 diabetes and dementia – in fact having untreated diabetes increases your risk of dementia 3-fold. If you already have diabetes, making sure it is carefully managed will lessen the likelihood of cognitive decline. The brain needs oxygen to function well, and so a good cardiovascular system is important. That means doing some aerobic exercise. In midlife especially, moderate exercise has been highlighted as having a potentially significant impact in reducing your risk. And smoking is therefore also a big risk factor for dementia – give it up to help save your brain! There’s always a lot in the media about diet and dementia. In fact, the evidence is fairly limited, but a Mediterranean diet is likely to be the best for your brain – rich in fibre, fish (with their omega 3 oils) and possibly with the odd cup of coffee and glass of red wine. However, if you remember the concerns about aluminium pans in the past, then you can forget about that – it’s not thought that they could be causing a big risk. People often think that doing puzzles or brain training is good – but the key is that whatever you do has to be new. So if you’ve always done crossword puzzles, then carrying on with them is not going to do you much good. What you need is to take up new, brain-stimulating hobbies as you get older. And if you can combine those with a social aspect, such as joining a club, then that’s even better (this is why hearing loss can be a risk factor for dementia – it can be socially isolating, so if you can, use a hearing aid!). A new language, a new instrument, a new hobby and new friends — every 5-10 years! And finally, when should we begin making these changes? Professor Ritchie explains that we should begin to consider the period of our forties to fifties as a good place to look at moderating risk. However, if you haven’t considered changing or taking up these habits in midlife, it is still important and beneficial to acknowledge these in later life too. Whatever age you are, all of these could have the potential to help safeguard your brain as well as boosting your overall health and wellbeing.